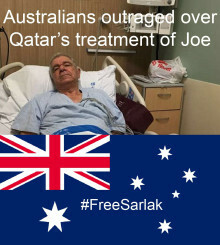 Australian Family man Joe Sarlak’s nightmare began on the 31st of July 2016, nearly two years ago, when he was tricked into attending a meeting to discuss his plans to leave Qatar. He has been in Doha prison ever since and, now experiencing serious health problems, fears he will die in Doha jail. In 2004, Joe was operating a business called Clearspan Technology in Queensland & Northern NSW, Australia, when he was asked to provide a quote for a civil project for Qatar Airways Emiri Hangar. He won the bid but the legal system in Qatar is quite unexpected to most foreigners. Sarlak required a local sponsor who would entirely own the newly registered Qatar based division of Clearspan. Sarlak would hold no official office and would not be an official shareholder. Instead, Sheikh Khalid Fahad Mohammed Saud Al Thani would, a powerful royal in Qatar with “wasta” (influence). Joe’s partner Sheikh Khalid was suffering his own personal financial issues and started using Clearspan as a cashcow, essentially starving it of funds. As part of several projects the company was commissioned to complete, Clearspan paid suppliers in advance and in turn, required to submit “security cheques” to the banks in lieu of loans. When a bank advances funds, it is standard practice to request a series of cheques be submitted. If the company defaults on the loans, the bank will present the cheque and if it bounces, is a criminal offence that will warrant time in prison for the person who signed them, even if it is not his fault, even if he only has an administrative role within the company. These historic laws were originally designed to prevent fraud but the banks misuse them by criminalising debt because as HSBC’s CEO said “jailing debtors works”. As Clearspan struggled to keep afloat, Joseph Sarlak tells us that a former contractor circulated malicious rumours that the business was bankrupt & Sarlak intended to return to Australia without permission from his sponsor, which is illegal in Qatar. Neither were true. These rumours prompted Sheikh Khalid to open a criminal case for absconding. Sarlak attended the police station to clear the misunderstanding but was arrested and sentenced to three months in prison for “considering (but not) absconding”. The idea of being jailed for thinking about leaving a country, shows just how at risk foreigners are to local laws and customs, and just how backwards these seemingly modern countries are. 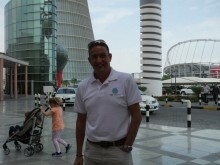 Family holiday - Doha & Dubai (Joe - second from left). Shocked that he was under arrest, Joe was forced to sign a confession in Arabic and told that if he did not sign it, he would face additional charges. This in itself, is a violation of United Nations directives, to which Qatar is a signatory but unfortunately, is standard law enforcement practice in the gulf. The law does not take any circumstances into account when presiding over cases related to bounced cheques. Sarlak attended court and was asked “did you sign this cheque?” and could only answer “yes”, nothing else matters. He was transferred to Qatar Central Prison and his business dreams were suddenly transformed into his worst nightmare and there was more to come. During his three month detention, his sponsor neglected the company and made no payments to cover mortgages, loans and project banking facilities, leading the bank to bounce cheques written by Joseph Sarlak. This lead to criminal cases being opened against Joe for each cheque that bounced, leading to further custodial sentences. On the back of the criminal convictions, the bank opened civil claims against him and without the ability to pay, unserviced judgments convert to further prison time. It is a vicious cycle leaving victims perpetually jailed with no way out. 68 year old Joseph faces the rest of his life in prison with seven cheque cases against him, each one warranting a sentence of between 1-3 years. So far, his sentences total 6.5 years and there are still more awaiting judgment. To top it off, Sheikh Khalid has now opened a case against Sarlak for allegedly “cheating” the company, a common strategy for local sponsors in the middle east. If the influential Sheikh is successful within Qatar’s justice system, Sarlak will face additional sentencing. Talking to Detained in Dubai, Sarlak’s family said “authorities said they would beat the hell out of him if he did not cooperate, that they didn’t care if he was western. When he was arrested, he had no rights and no lawyer. He was forced to sign a document in Arabic. There was no legal process like you would expect in this day and age”. 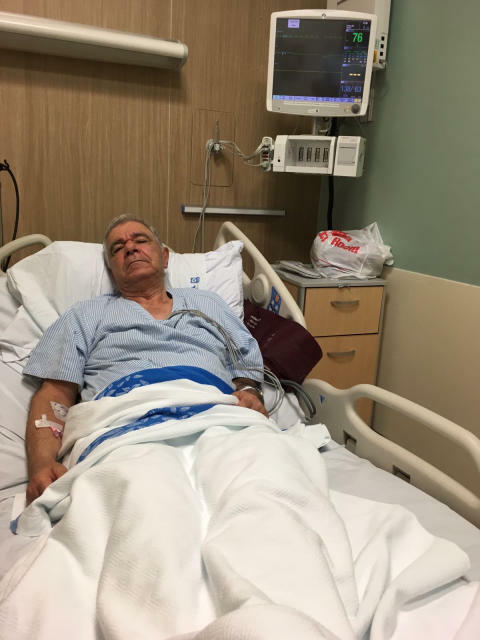 Joseph Sarlak has been seeking consular assistance through the Australian embassy and is currently suffering from heart disease, hypertension, hypercholoesterolemia, eyesight problems, hernia, torn bicep tendon & arthritis. He has struggled to obtain necessary medical assistance and his health is deteriorating. 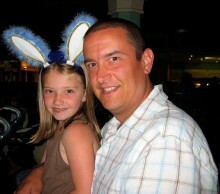 He was transferred to hospital over the weekend and his family fears he will die in prison. 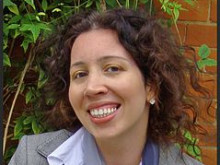 Radha Stirling, founder of Detained in Doha and Detained in Dubai, has been advocating justice in the middle east for ten years and has represented numerous clients in that time who have been detained for bounced cheques and false allegations of financial related crimes. Ms Stirling is representing the Sarlak family and acts as an expert witness in extradition & civil proceedings & has worked with Senator Kroger at Australian Parliament on wrongful detentions in the middle east. Stirling said in a statement “if Qatar strives to improve human rights and promote foreign investment and tourism, it is important for the Qatari government to review the detention of Joseph Sarlak. The reputation of the United Arab Emirates has been tarnished over the past ten years as a result of jailing foreign investors over false allegations, bounced cheques and business debt. Ideally, Qatar will see the mistakes that the UAE has made and take steps to prevent the same. If Joseph Sarlak and his British prison companion Jonathan Nash (jailed for 37 years for bounced cheques), remain in jail, no foreign investor can feel safe. The Australian government used its diplomatic influence to secure the release of Matt Joyce and Marcus Lee from the UAE, and we call on them to do the same for Joseph Sarlak. We have a 68 year old father of three who has been sentenced to essentially spend the rest of his life in prison, after having been processed through a justice system that fails to provide safeguards against wrongful accusations and legal abuse. As a modernising and growing international economy, Qatar must emphasise to local businesspeople the importance of respecting foreign investors, and not viewing them as vehicles for short term personal financial gain. Too often we have seen local investors seize a profitable company and drive out their fellow investors of foreign nationality by means of fabricated criminal charges; essentially, cashing in on a successful company at the expense of those who helped build it, instead of supporting its long term viability. Ultimately, foreign investors will view Qatar as too risky and choose to invest elsewhere. Qatar is actually ahead of other countries in the region, such as the UAE, insofar as existing laws on bounced cheques actually do stipulate that circumstances must be considered before the cheques are treated as fraudulent. However, we are not seeing these laws properly followed in real cases involving foreigners. Qatar banks are also demonstrating that they are following in the UAE's footsteps of Interpol abuse by reporting credit card debts and loan defaults as "fraud" on Interpol's databases. Qatar is poised to host the World Cup, inevitably this will increase international scrutiny of the country and its treatment of foreign nationals like Joseph Sarlak and Jonathan Nash. If Qatar hopes to maximise the benefits of the World Cup in terms of elevating its stature as a destination for investors, they will need to resolve egregious cases such as these. No one can feel safe investing in a country that issues life sentences over bounced cheques. I am a personal friend of Joseph and I am sadden about the injustices Sheikh Khalid Fahad Mohammed Saud Al Thani has committed. The royal family must be ashamed that a member of their own has acted in such dishonorable way. Joseph is one of the most sincere and honest man I have ever met and I am proud of being his friend. I hope the international community put pressure on the Qatari government to liberate Joseph.